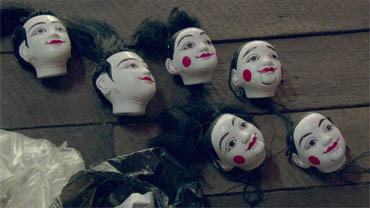 Aye Aye Thwe’s family make traditional Burmese puppets. She too once had high hopes of becoming a puppeteer, but her life took a detour when she went to find work in Malaysia and soon found herself enslaved. May Htoo Choo was born in 1982 and studied at the National University of Arts and Culture, majoring in music. After working for the National Symphony Orchestra as a violinist and as a music teacher at DoReMi Nursery school she enrolled at YFS in 2007 where she worked as a cinematographer on the documentary A Piece of Eden. Choices marks her debut as a director. She was also one of the editors on a short drama produced by YFS with the working title Hope.